The last two weeks have been busy. I finished my first large prototype milestone and have officially named my game Wrench. I am entering the phase of development where I want increased exposure. If you have been following my development, please share this. I ended up making substantial changes to all of the gameplay systems and added a bunch of new functionality which I will detail in another post later. Pretty incredible work. You’ve been working on this for a while, haven’t you? I started full time on it a few months ago. I had been doing leg work and part time work on it for about a year before that. Fantastic work, if this was out today I would buy the full VR setup just to get it. Great job, please keep it up! Is there a possibility to try out a demo (or something like that) on my setup? I’ve been wrenching on Miata’s for 20 years as a hobby, I’d recognize those parts anywhere! TAKE MY MONEY!! I gotta have this! I want to test it asap. Would like to see Nissan Primera P11 1997-1999 model (MK2) Brilliant work. Inspiring and motivational. Would love to try this on my Vive! I have subscribed so hopefully receive some updates regarding demos and beta trials! Need any help with this, definitely keep me in mind! When and where can I preorder and/or sign up for beta testing? I’d pay right now if I could. Wow! Excellent job! I need to preorder or test beta because this is my dream game! This is what I’m looking for! How sick would it be if someone like Jegs.com would do 3d scans of all their performance parts and you could “shop” for them, and have them “delivered” to your VR garage and build and upgrade your VR cars. Also something like this could be used as a learning tool. 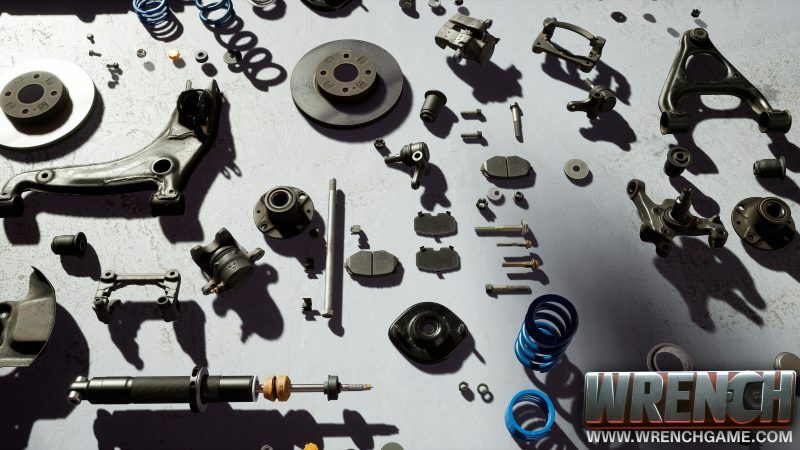 It would be awesome to be able to tear-down and rebuild a virtual engine part by part. It would be really cool if you could add a box wrench and a cordless impact driver, so you had to tighten and loosen all the nuts/bolts. This is absolutely amazing, Alec. By chance are there plans to do a basic car care VR class? Like showing simple things, such as oil changes, basic engine care or even changing a tire. I can think of so many people who would pay for something like this. I work in social media and marketing, and I’d love to help you work on this project. Give me a shout out if you’re interested. Hi! I’ve been working for 14 years on car insurance companies in Mexico City. In my actual company we’re very interested about this game and similar technologies for training our inspectors and repair simulations . How can we have more info about? A joint venture with us perhaps? Are we nearing a demo release? I would love to try this out. we also can help you in translating your game into Arabic for free as we although offering apps and games translation service.